Titanic Remembrance Day is celebrated on April 15th of each year. RMS Titanic was a British passenger liner which sank in the North Atlantic Ocean on April 15, 1912, after clashing with an iceberg during her maiden cruise from Southampton, UK to New York City, US. The sink of Titanic has caused the death of 1,502 people in one of the deadliest peacetime marine disasters inmodern history. While the RMS Titanic was the largest ship buoyant at the time of her maiden voyage, she was the second among the three other Olympic class ocean liners operated by the White Star Line. RMS was built by the Harland and Wolff shipyard in Belfast with Thomas Andrews, who perished with the ship, as her naval architect. On her maiden voyage, she carried around 2,224 passengers and crew. Under the authority of Edward Smith, her passengers included many of the wealthiest people in the world, and there were hundreds of imigrants from Great Britain, Ireland, Scandinavia and elsewhere throughout Europe looking for a new life in North America. The Titanic was designed to be the last word in comfort and lavishness, with an on-board swimming pool, libraries, gymnasium, lavish restaurants and magnificent cabins. She also had a prevailing wireless telegraph provided for the convenience of passengers as well as for operational use. Though the Titanic had all advanced safety features like watertight compartments and remotely activated watertight doors, but because of the outdated naval safety system, she carried very few lifeboats, which were sufficient for only 1,178 people—a little more than half of the number traveling on the marine voyage, and one-third her total travelers and crew capacity. After leaving Southampton on April 10, 1912, Titanic called at Cherbourg in France and Queenstown which is now Cobh, in Ireland before heading towards westwards New York. On April 14, 1912; four days into the journey and about 375 miles (600 km) south of Newfoundland, she hit an iceberg at 11:40 pm ship’s time. The glancing crash caused Titanic’s hull plates to clasp inwards along her starboard side and opened five of her sixteen watertight compartments to the sea; the ship slowly filled with water. In the meantime, passengers and some of the crew members were taken in lifeboats, many of which were launched only partially loaded. A disproportionate number of men were left on board because of the protocol followed by the officers to save “women and children first” by loading the lifeboats. 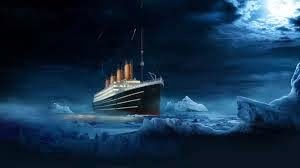 By 2:20 AM, Titanic broke apart and foundered, with well over one thousand of people still left on the board. Just in two hours after the Titanic foundered, the Cunard liner RMS Carpathia arrived on the scene of the sinking, where she brought aboard an estimated 705 survivors. This disaster was greeted with worldwide shock and outrage at an enormous loss of life and the regulatory and technical failures that had led to it. Public inquiries in Britain and the United States led to major improvement in marine safety. One of their most important legacies was the establishment in 1914 of the International Convention for the Safety of Life at Sea (SOLAS), which still governs naval safety today. In addition, several new wireless regulations were approved around the world in an attempt to learn from the many missteps in wireless communications which could have saved many more travelers. Many of the survivors lost all of their money and belongings and were left penniless; many families, particularly those of crew members from Southampton, lost their primary bread-earners. They were helped by an expression of public sympathy and generous donations. Some of the male survivors were accused of fearfulness for leaving the ship while people were still on board; the White Star Line’s chairman, J. Bruce Ismay, faced social exclusion for the rest of his life. The destroyed remains of the Titanic are still out on the marine, split in two and steadily decayed at a depth of 12,415 feet (3,784 m). Since its discovery in 1985, thousands of artifacts have been recovered and put on display at museums around the world. The Titanic has become one of the most famous ships in recent history, her memory kept alive by numerous books, folk songs, exhibits, filmsand memorials.